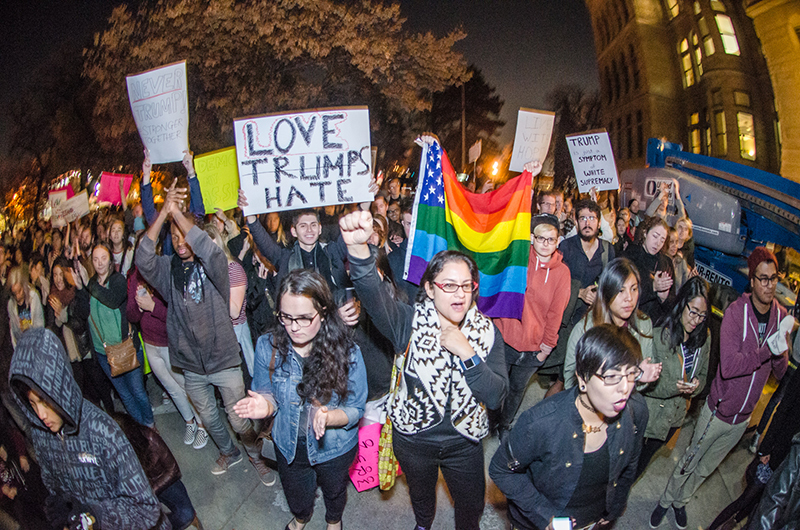 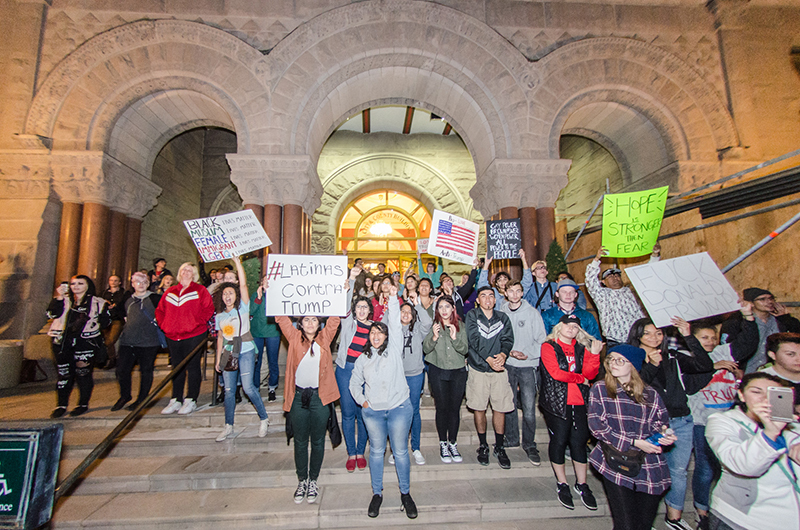 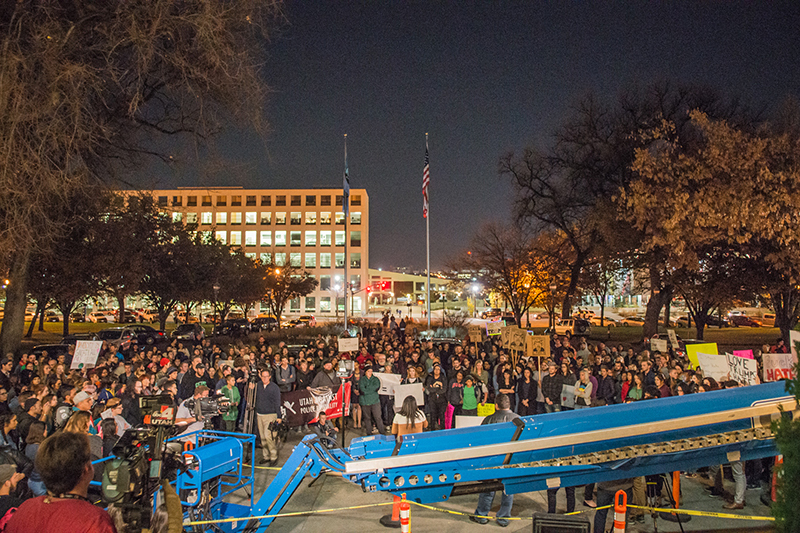 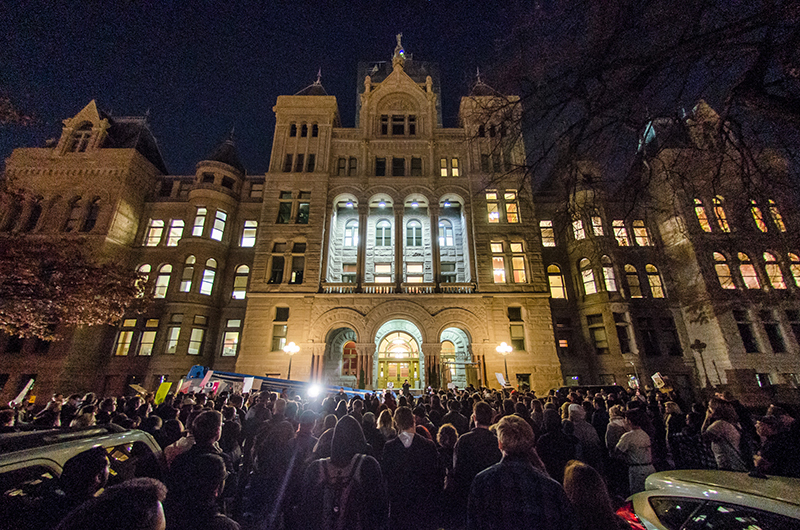 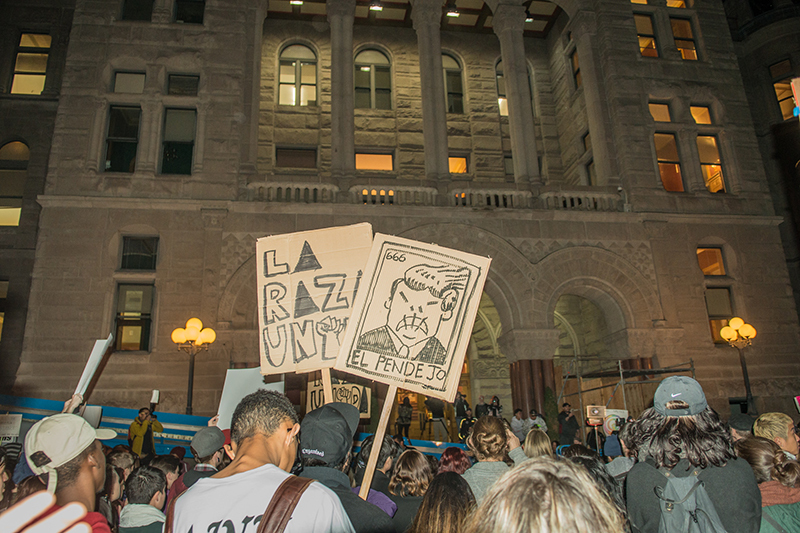 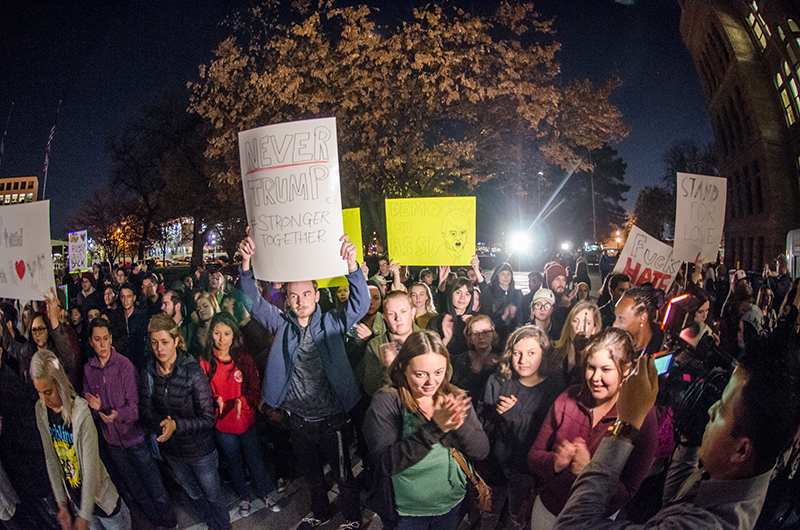 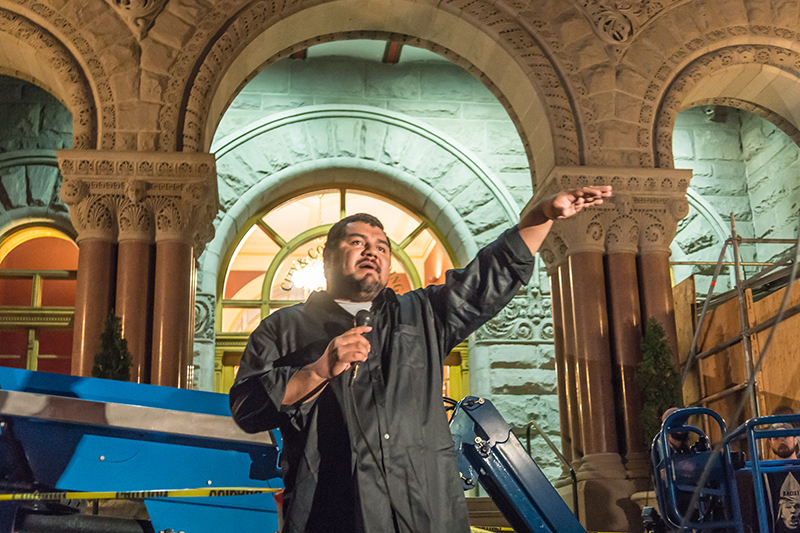 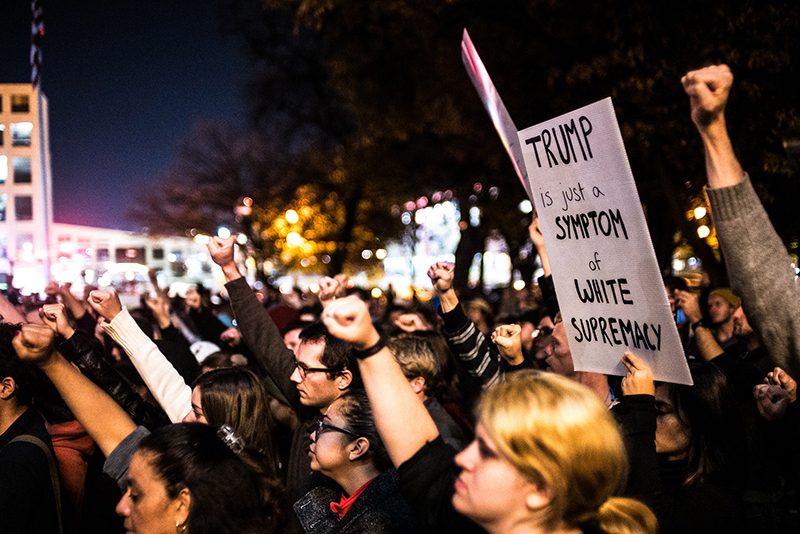 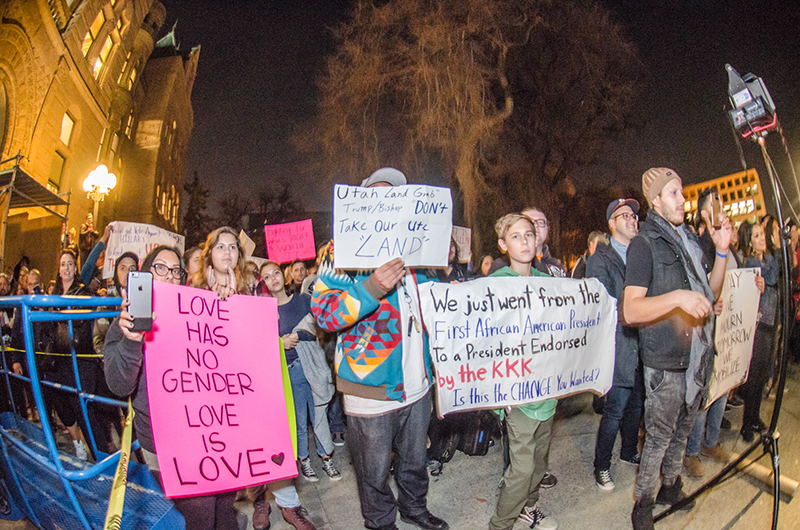 The day after Super Tuesday, when Donald Trump became America’s president-elect, hundreds of Utahns and local coalitions took to Washington Square and the Salt Lake City and County Building for an impromptu rally to empower our communities. 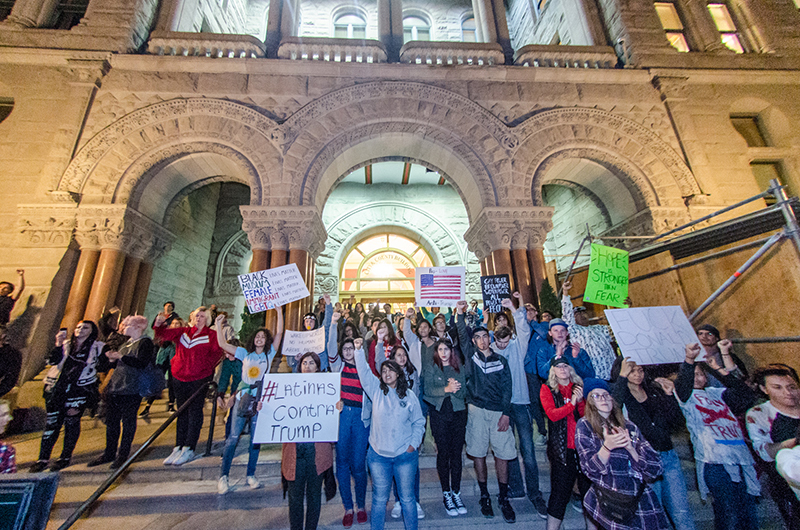 There, with chants, signs and speakers, attendees organized to process the election, to mourn and grieve, to show their solidarity and to pave the path for future action. 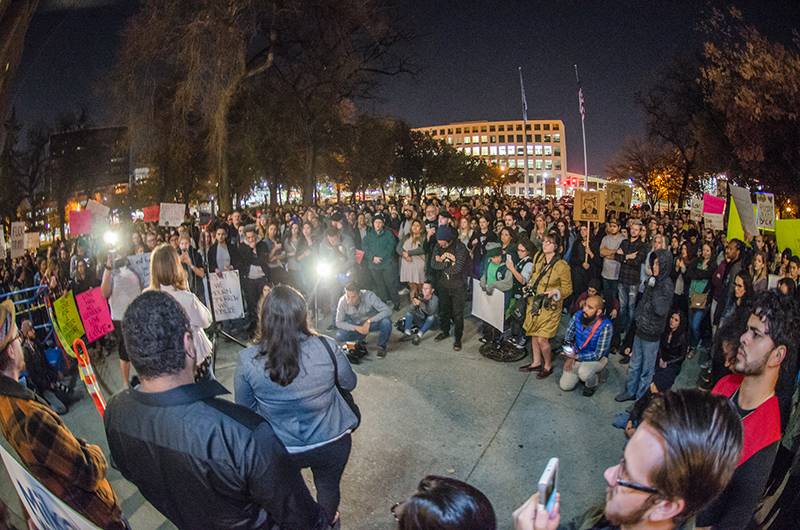 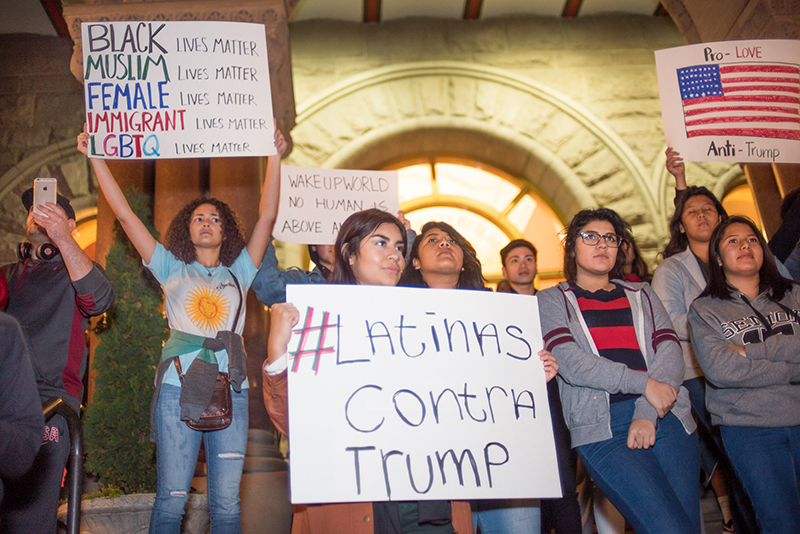 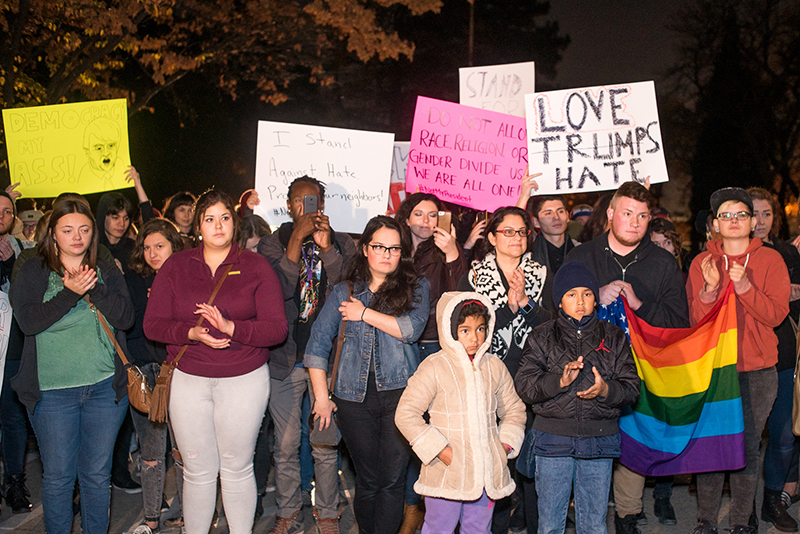 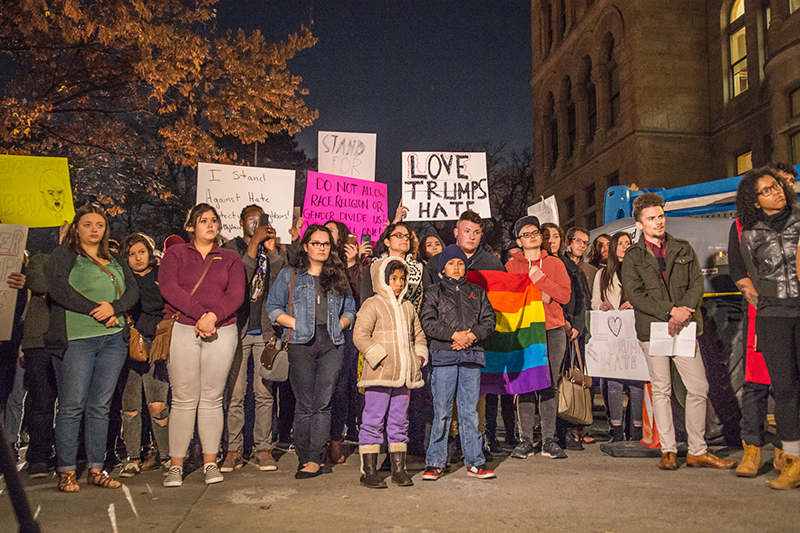 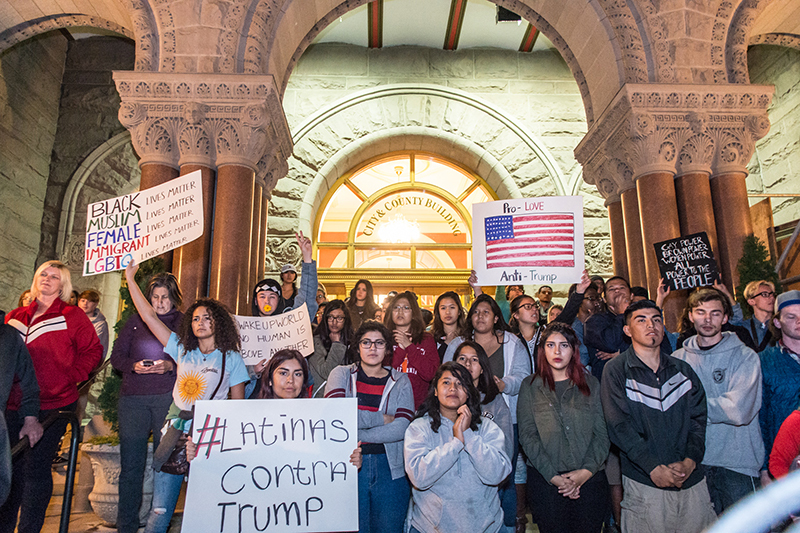 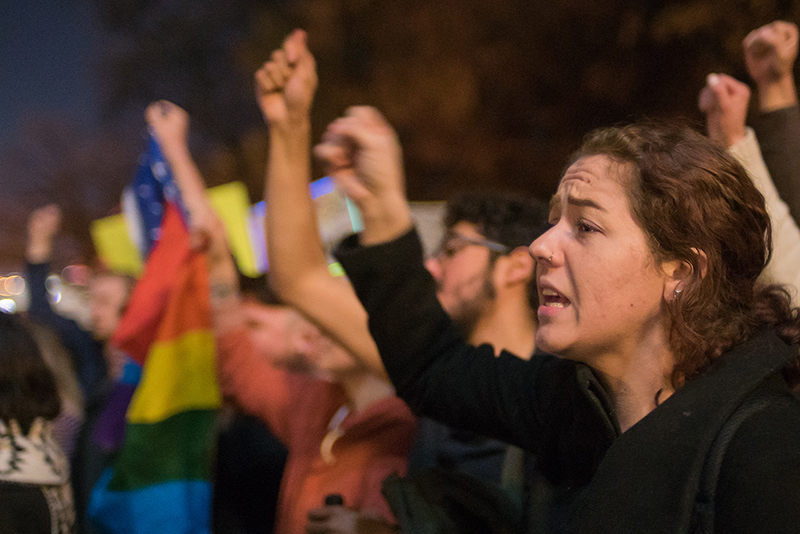 While speakers spoke about the impact of anti-immigrant legislation on their families and lives, others cheered and lifted their signs, proclaiming messages from “Love trumps hate” and “Better together” to “Today we mourn, tomorrow we mobilize.” Coalitions stood together in an intersectional effort, with #LatinasContraTrump, rainbow flags and signs denouncing Trump’s election as a symptom of white supremacy. 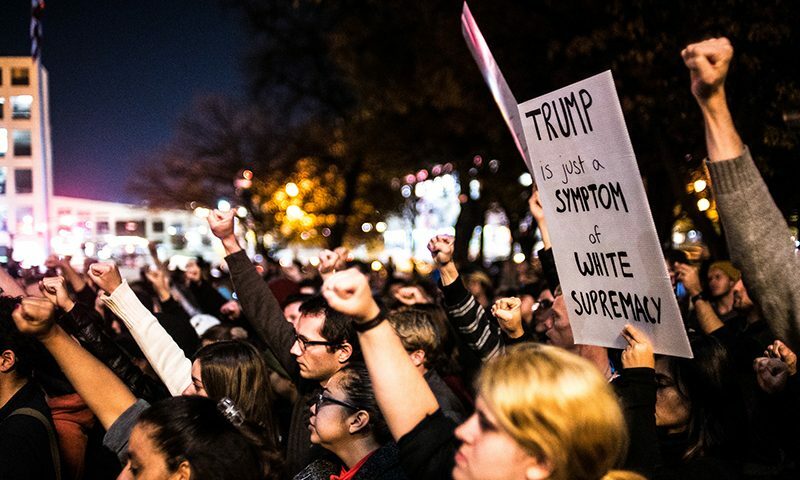 Multiple media outlets documented the hundreds of individuals, who voiced their concerns regarding racism, sexism, xenophobia, climate change, the lack of protections for indigenous land and more. 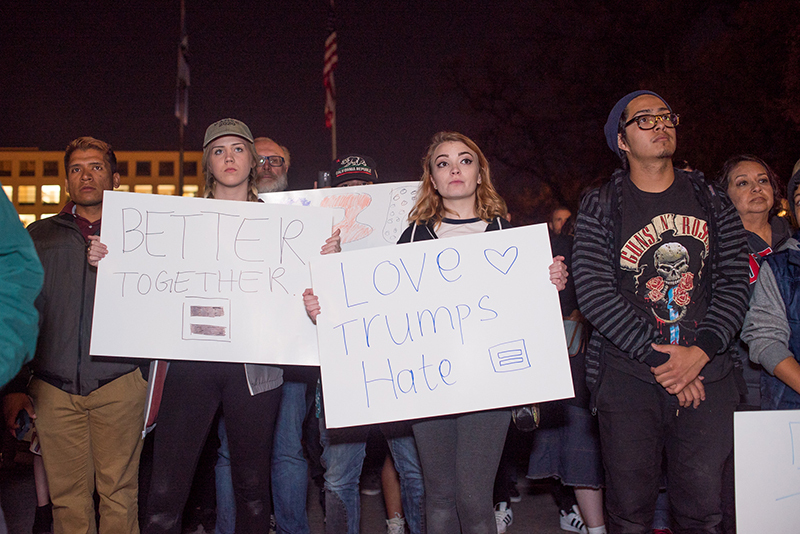 Attendees listened attentively as various speakers urged them to rally together and to work together. 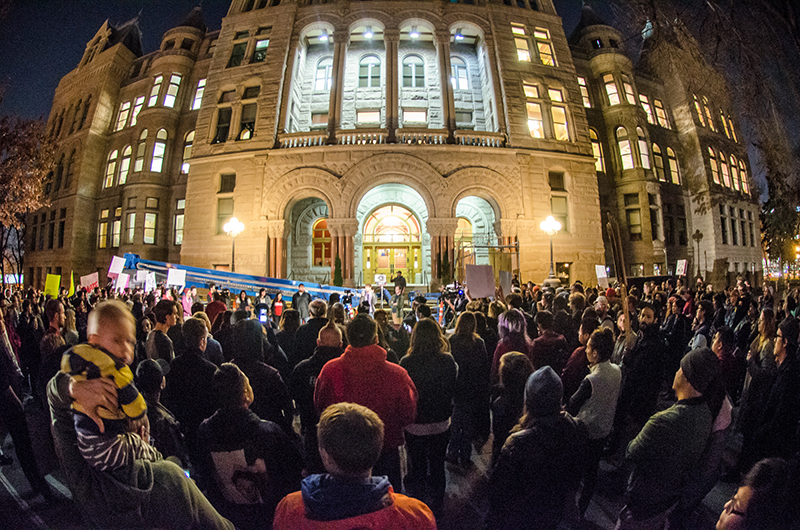 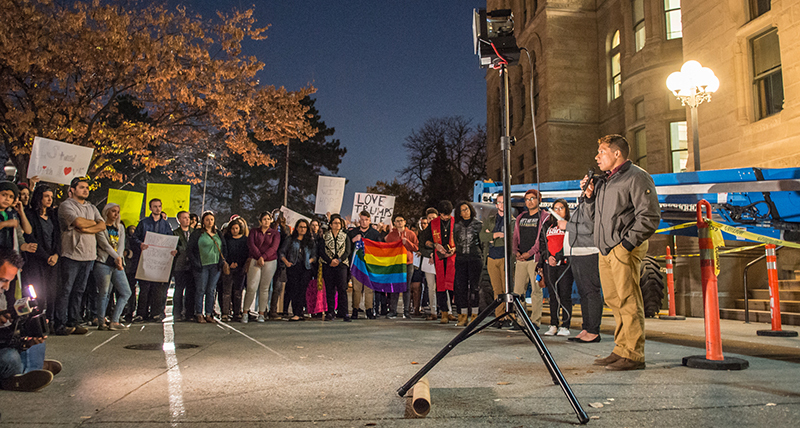 The Utah Rally to Empower Our Communities was one of the most quickly organized post-election rallies, placing Utah’s demonstration on the map alongside massive protests and social justice efforts across the country. 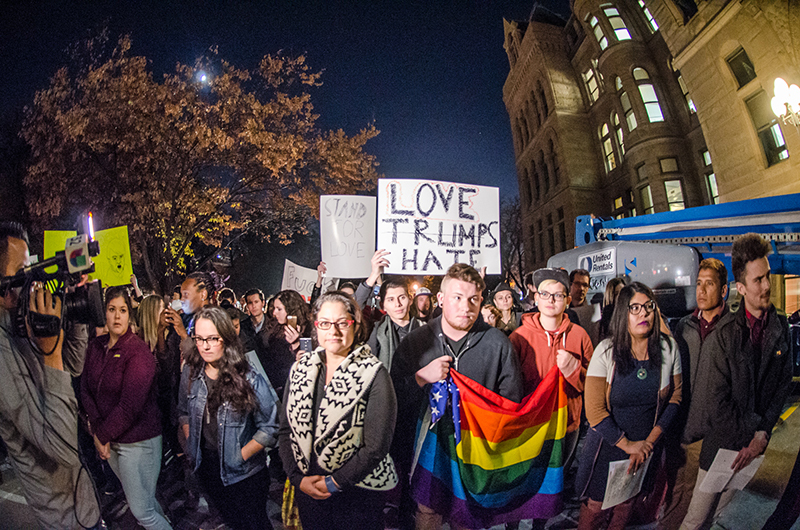 It is the first of many rallies—already, demonstrations have been organized for Nov. 10 and Nov. 12, with likely many more to come. 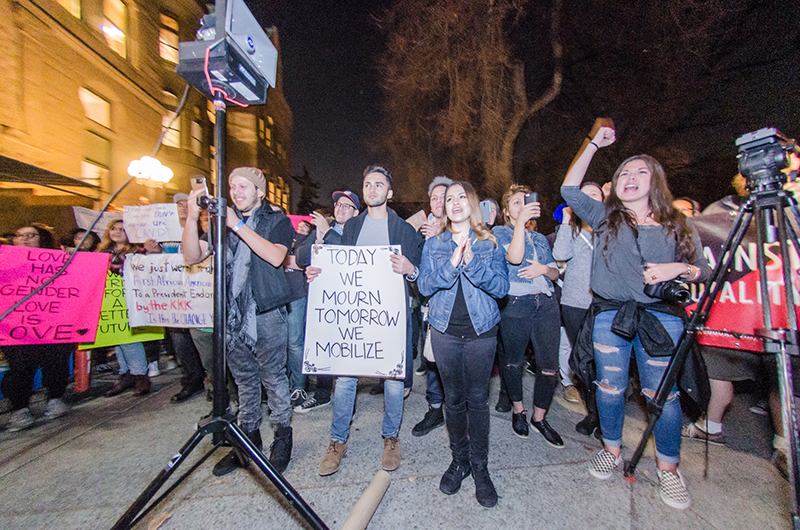 Most of all, these demonstrations aim to build a platform to organize individuals and communities to build coalitions.